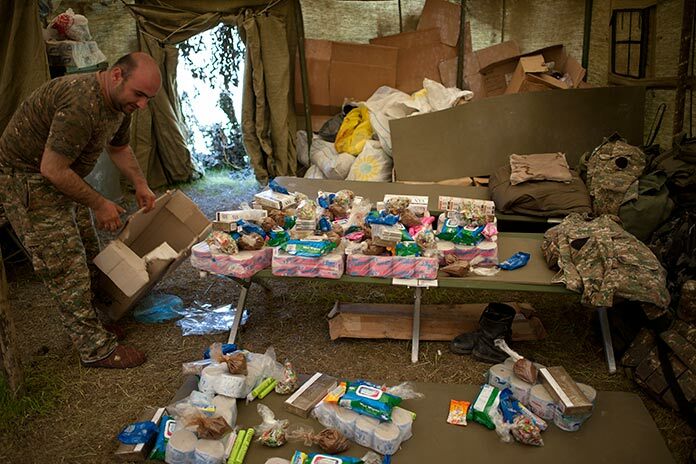 In one of the tents of the Nagorno-Karabakh Defense Army’s N military unit located at the northeast boundary of NKR, sweets and hygiene accessories from the rear are carefully placed. 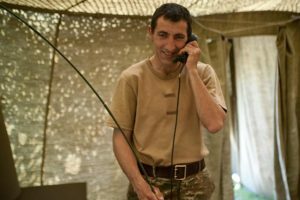 However, the dearest of the things sent to the front line after the four-day war, which broke out at the beginning of April, are the letters, which the soldiers in the frontline received from school children. “My dear soldier, on behalf of myself and my school, I want to thank you … Wait, and in about five years I will join you. 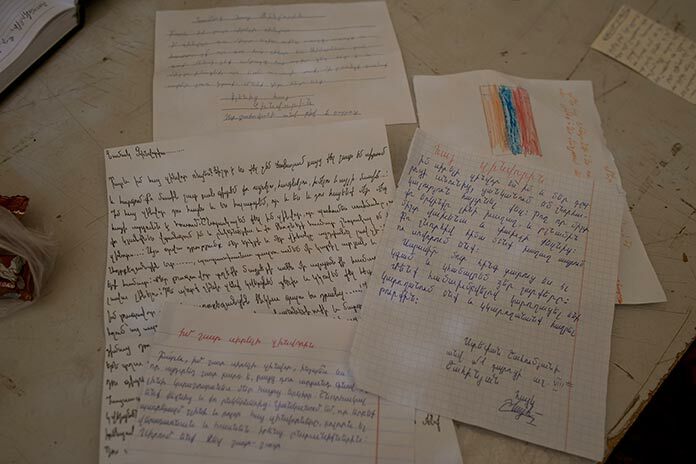 Getting together we were, are and will be able to defeat the Azeris,” Hayk Shahinian, a schoolboy from the school after Stepan Shahumyan in capital Yerevan, wrote to soldiers. 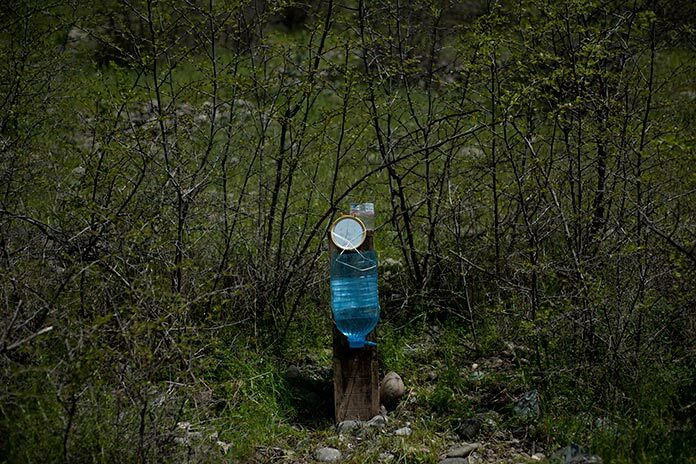 The letters are many and different, but wishes and desires, expressed in them, are the same. 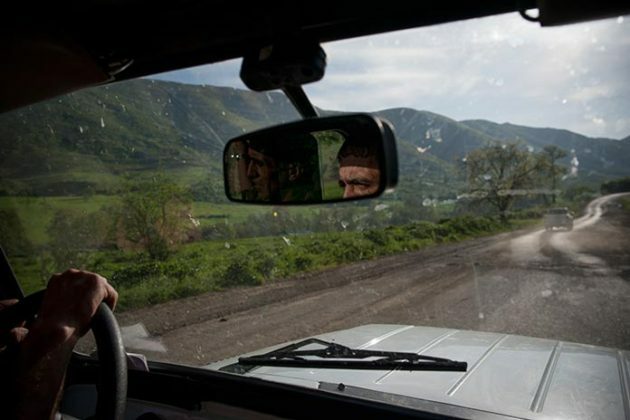 Khnvelyan, a father of two daughters, says that servicemen are grateful for the society’s united attitude, which was formed around the Armenian army during the four-day war and continues to this day. 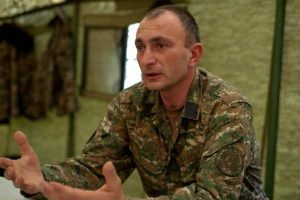 Commander Herbert Vardanyan interferes in the conversation, adding that unity is the most important thing, and those days in April showed that “God is almighty and stands for us”. Their only strength is their faith and love, forgiveness of one another. 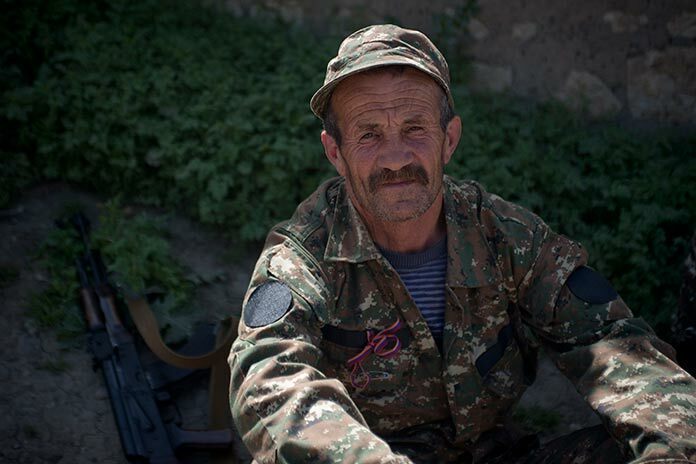 Eventually Armenia is a victorious state, he says. 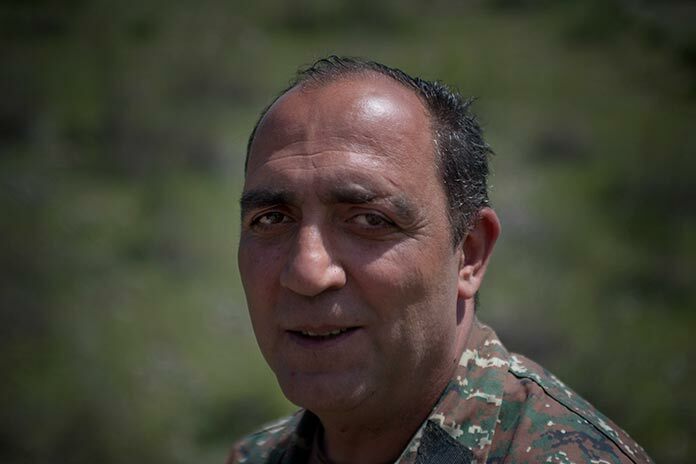 The most emotional is Mikael Zohrabyan, a father of five children: the thing is that his son coincidentally appeared in the same place where he is serving. “Coincidently and fortunately we are in the same place. I am in the frontline, whereas my son Narek is in the back, a kilometer away from me. My advantage is that I am standing before him. 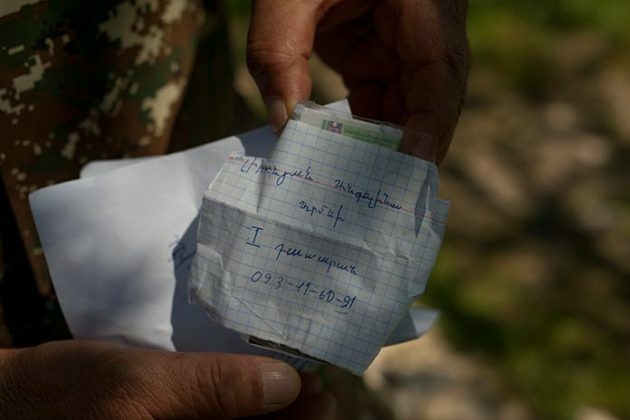 I want to tell parents of soldiers not to worry and that we are next to children,” says Zohrabyan, who has been serving in the army for 22 years, and participated in the military operations in Fizuli and Zangelan still in the nineties. 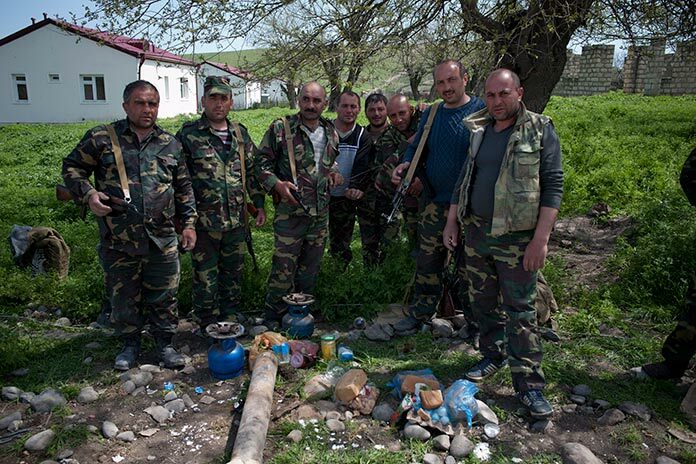 There are groups of volunteer servicemen all along the frontline and border areas of NKR. 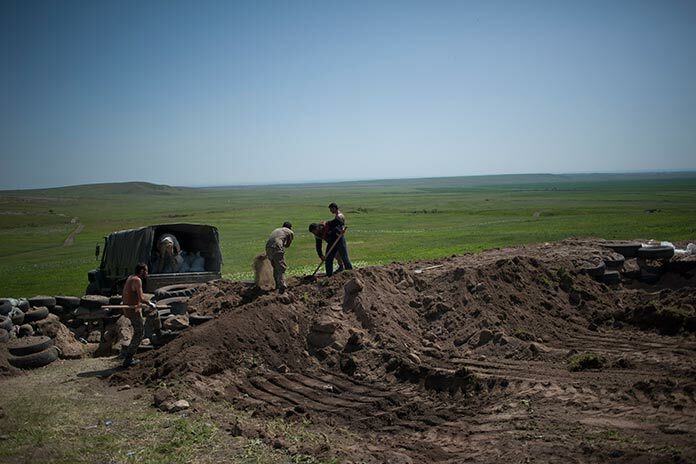 Some of the groups gathered in the center of Hadrut are rising to military posts, and some of them come down for a two-day rest. They are from different villages of Hadrut, as well as from the towns of Armenia, such as Gyumri, Masis, Ararat, Artashat, Echmiadzin. “We’ve seen so many things, and there is no fear in us. 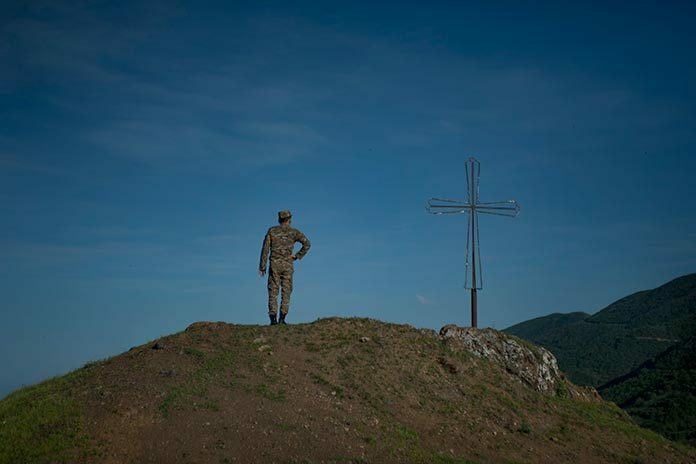 Today, the world is surprised by the consolidation of Armenians,” said Mushegh Ghareyan, a volunteer serviceman from Gyumri. 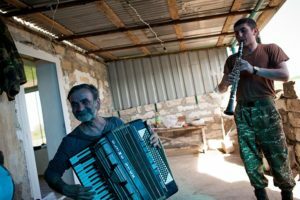 Gharib Marutyan, a 65-year-old historian and 1992-1994 Karabakh war veteran, has brought his accordion, which survived through the previous war. 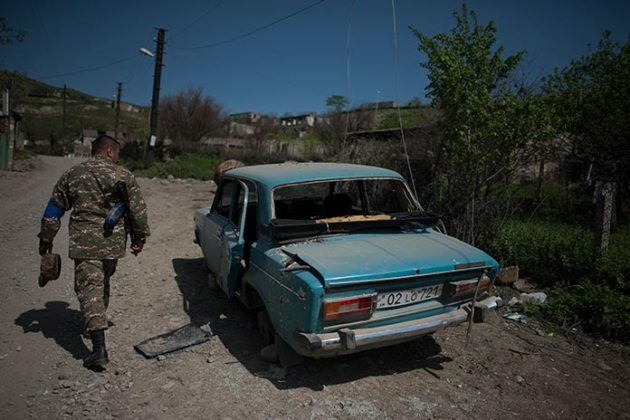 “Our soldiers did their job during the four-day war, but we are losing in diplomacy. NKR must be a party to the negotiations: they fight with Karabakh, but negotiate with Armenia,” Marutyan said. A volunteer group from the village of Karin Tak is next to servicemen in Talish. 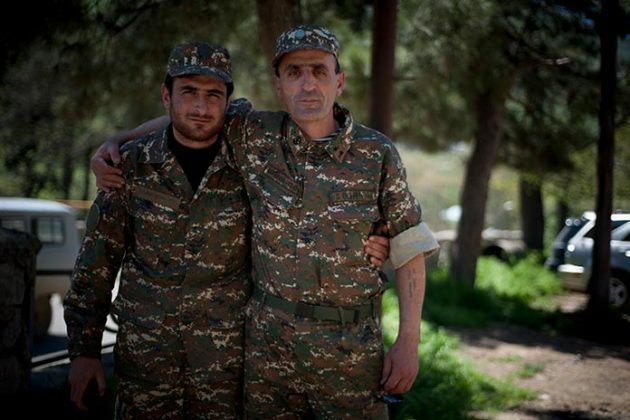 Men of Talish stand for soldiers and volunteer servicemen. “Border villages are very important not only as a rear for soldiers, but [are also a means against] the enemy. 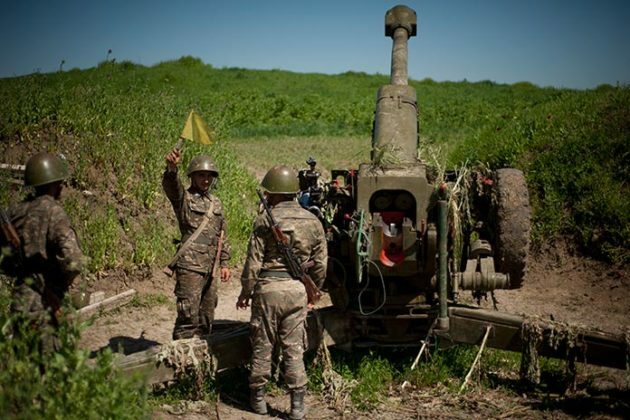 The adversary sees that we disregard its existence, that these people are unbending, that its shells won’t be able to break these people,” says commander Vardanyan. 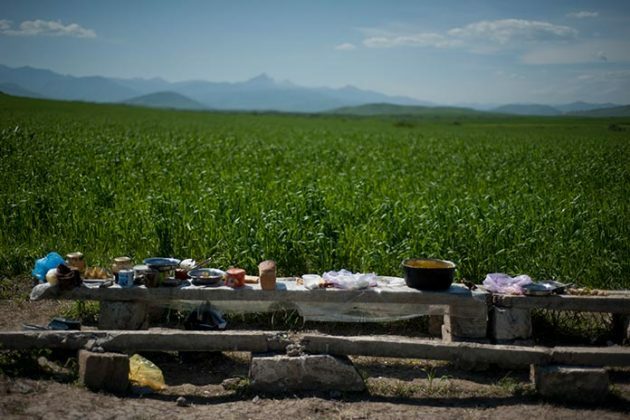 Describing Azerbaijan’s actions as “terrorist”, he says that Azerbaijan has been trying to carry out psychological pressure, which, however, produces the opposite reaction and people consolidate and stand for their country. “They have a psychological state of a poor person. 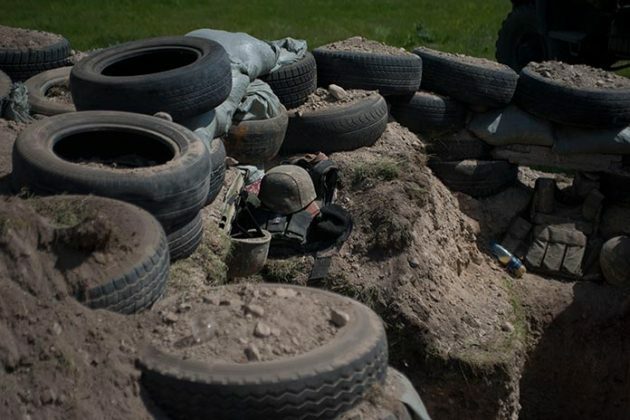 I do not underestimate the enemy: I will lose on the very day, when I underestimate the adversary. I always assess them, and only then start to reshape my forces. 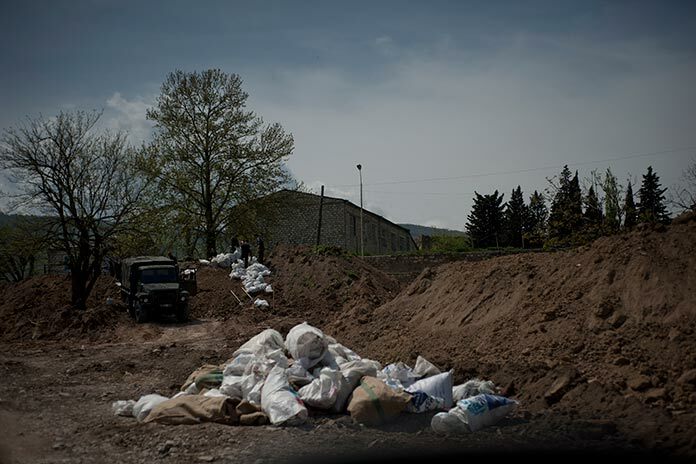 But they are afraid of even a dead body of an Armenian, and therefore are able to do everything in order to find the strength to continue to fight. But their fight is a kind of tired one. 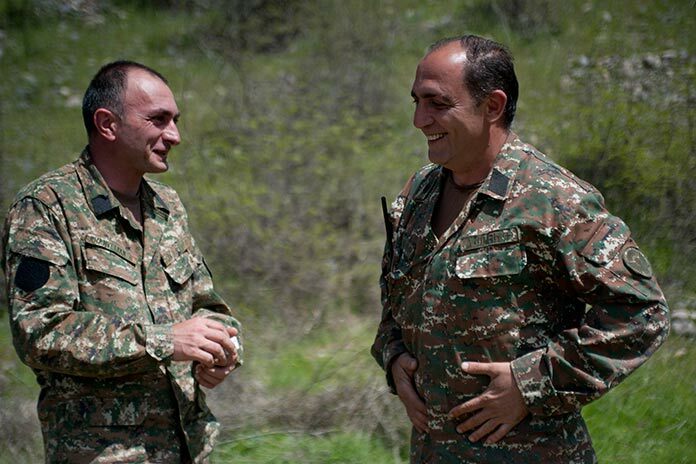 The Armenian soldier is strong in his consciousness and arm,” said Vardanyan. He speaks with sorrow about losses. 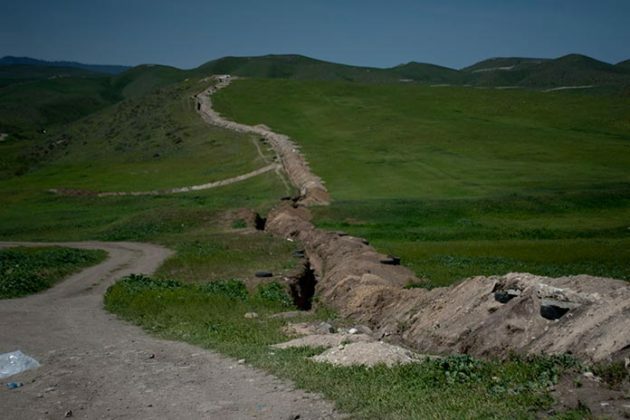 “We are sorry, but this is a field of war. 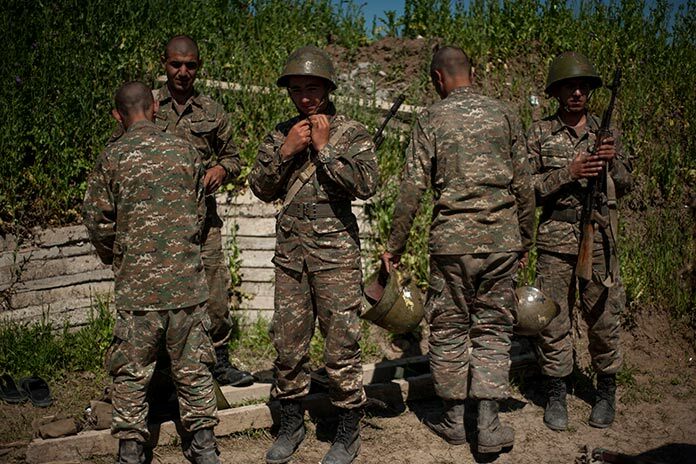 I understand, a loss of every soldier, every officer, and every Armenian, is a light that fades away in a family. But let’s look at things from another perspective: what shall we do if the light of the whole nation is faded away? Shall we again be spread throughout the world? We are the defenders of this country. 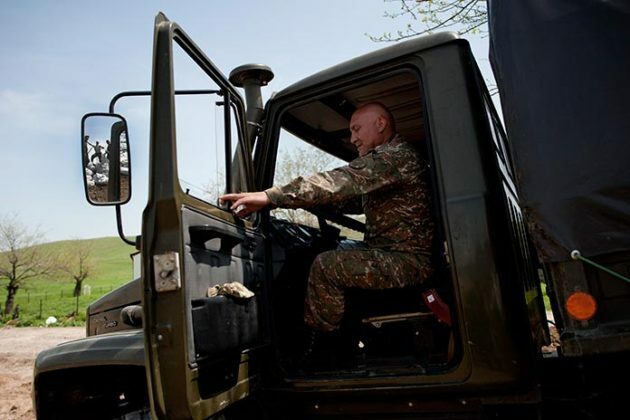 We are ready to die for this land and water,” says the commander. More than nine dozen Armenian soldiers were killed and over 120 were wounded in the battlefields of Nagorno-Karabakh in the April 2-5 hostilities with Azerbaijan. 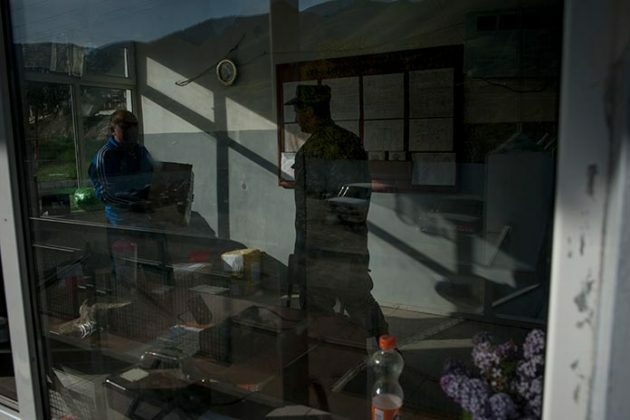 The loss of life continues to date despite a verbally reached agreement on ceasefire.